I am working on a little series of short posts on wedding moments and wedding dresses that have been iconic for me. This is the first in this series. I hope you enjoy it. Today's Google Doodle celebrates the birthday of Edith Head. She died in 1981 but would have been 116 today. Edith was the creative mind behind the wardrobes for many leading ladies (and gents) including my favourite actress, Audrey Hepburn. 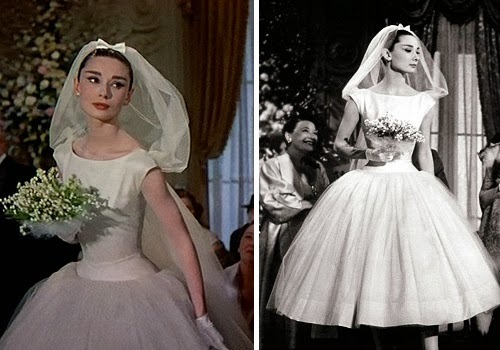 One of my favourite Audrey Hepburn films that Edith worked on is Funny Face and the outfit that stands out in my mind is the gorgeous wedding dress she wears. I love the neckline of Audrey's dress, it's the perfect ballerina style skirt for Audrey's delicate frame and shows off her tiny waist. 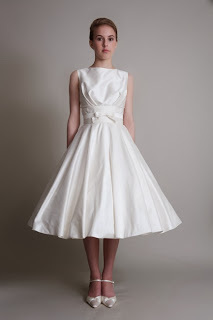 On my wedding dress hunt I tried lots of dresses with a similar neckline to this dress and nearly chose one which was almost identical, except floor length. I'm sure this dress inspired many brides-to-be at that time, as it continues too. 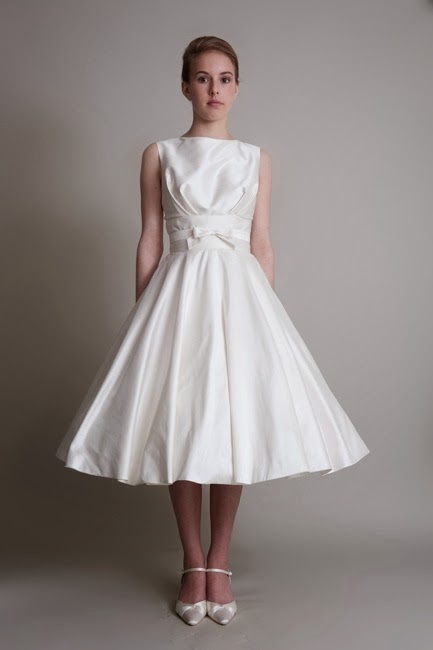 I love the dress (below) by Belfast designer Lizzie Agnew.